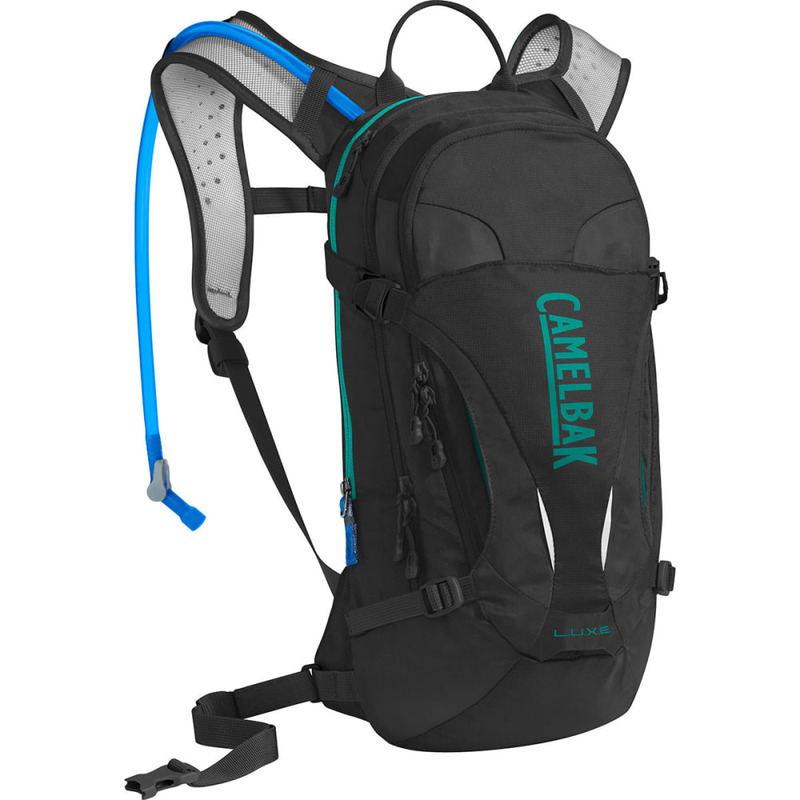 This pack is an all-terrain hero. The L.U.X.E.™ carries enough gear for a full day of mountain biking, with a narrow-gauge design that lets your focus on the ride, not your pack. The 3 liter reservoir holds enough water for rides of 3+ hours, and the pack offers extra storage for anything the trail might throw at you (or your bike): keys, helmet, a layer, lunch, and bike tools. The ventilated back panels keep air moving over your back, and the removable waist belt keeps everything in place during bumpy rides. The women’s-specific design features contoured shoulder straps that fit comfortably on your chest without chafing, and the shorter pack length offers a better ergonomic fit. Gear Capacity: 7L/400 cu. in. Pack Weight: 590 g/1 lb., 4 oz. Dimensions: 44 x 21 x 22.5 cm / 17.3 x 8.3 x 8.9 in. Dimensions: 17.3 x 8.3 x 8.9 in.